Stuff: Our site exploded from its awesomeness recently, so we’ve fixed the inventory management system and are re-loading up our product line. Check back on a regular basis here to see what treasures we’ve gotten back online. 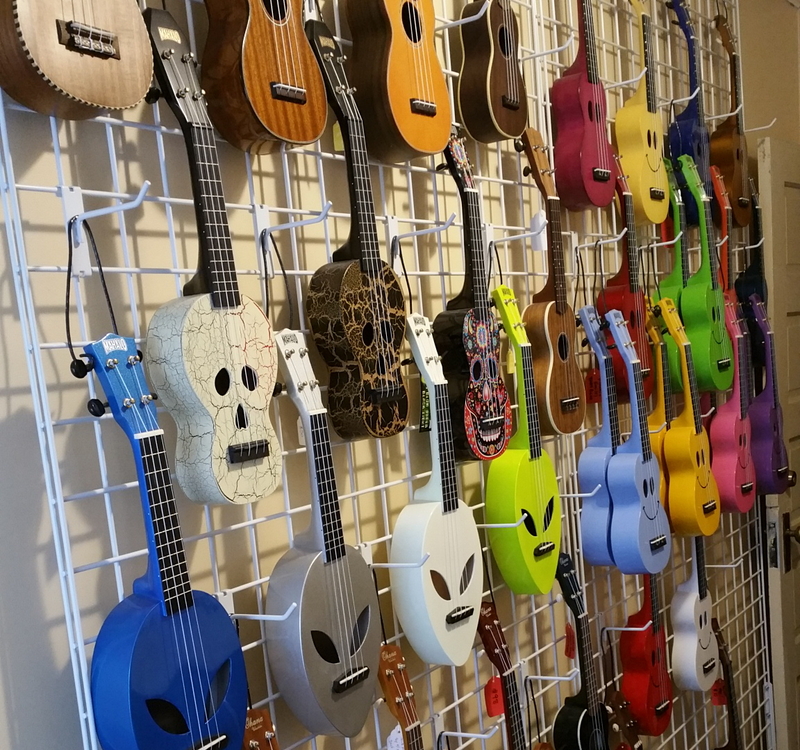 Lessons: Denver is a Mecca when it comes to ukulele education … BUT, as in all cities these days, there’s a lot of dumb ukulele going on around town too. Before you decide how you want to spend your money to learn to play, you might want to read this. 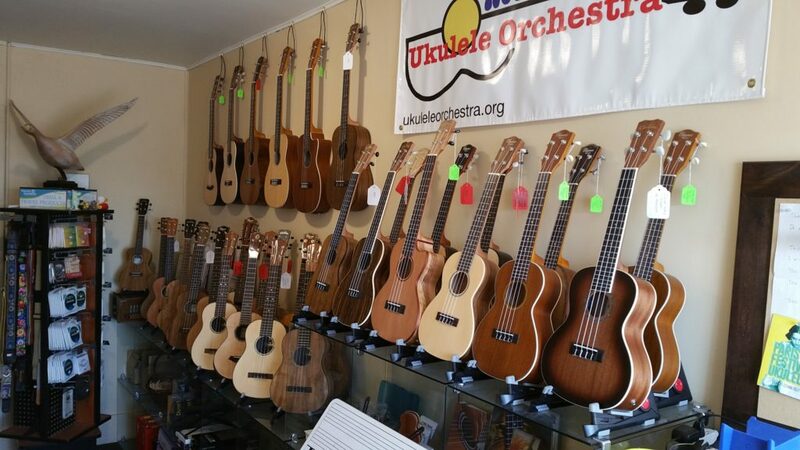 Rentals: We rent Mahalo ukuleles for $5 per week and Ohana SK15 ukuleles for $10 a week. You gotta put down a small deposit when you rent and we’ll give it back to you if you bring it back in the same shape. If you decide to buy it after renting it, your rental fees will be applied to the purchase price so there’s very little risk in getting started. More info is here. Repairs: We’ve been fussing with musical instruments for years. 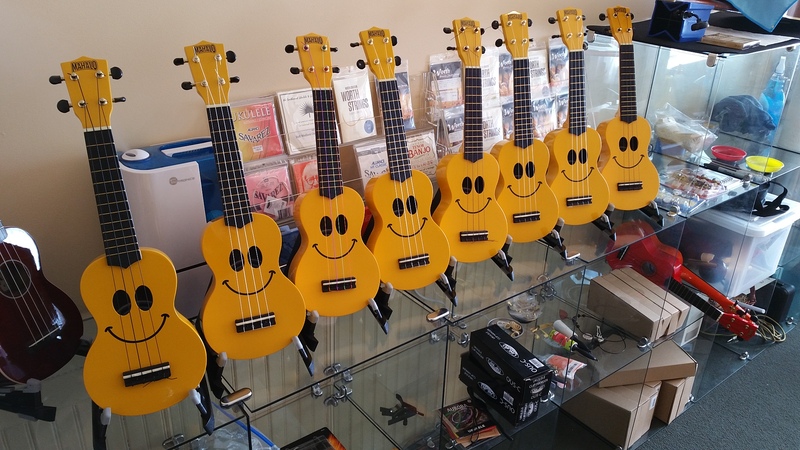 You will be happy you let us set up your electric guitar, acoustic guitar, banjo, mandolin or ukulele. We have changed strings on everything imaginable. We can repair most intonation problems. If you need your action lowered or your neck adjusted, we will make you happy. Need a strap button added? Need to learn how to work on your instrument yourself? Need a pickup installed? We’ll do all that stuff for you for a great price and with great attention to detail. We will quote you the cost up front and you’ll pay when you pick up the instrument. We usually don’t do major woodworking repairs, but we know some guys who do great work. More info is here. Ack! My site crashed. I’m uploading new photos of all the inventory as fast as I can! See how far I’ve gotten HERE.